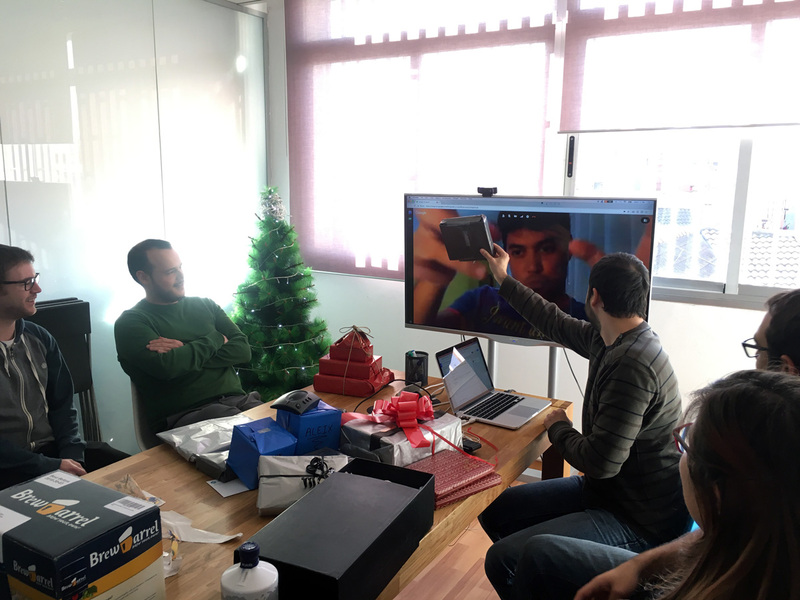 In the new-age office tradition of Secret Santa, each member of the team is assigned the task of choosing and purchasing a gift for another. For those familiar with Secret Santa, you will have probably experienced the challenge of buying for a teammate you may not know too well, ending up with a last-minute, generic and unthoughtful gift (maps from a gas station or scratch cards anyone?). 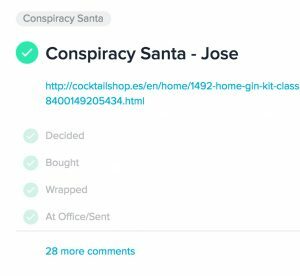 This festive season, instead of running Secret Santa, we decided to try Zapier’s approach; Conspiracy Santa. Conspiracy Santa differentiates from the original in a number of ways, but perhaps most importantly by allowing the whole team to contribute to the ideas process. After deciding to give it a go, we thought about the best way to execute the process. We use Asana for our internal tasks and thought it would be best to keep it there. Much like Secret Santa, there was one teammate assigned to each person, who was responsible for buying, wrapping and shipping. Gifts came from (and were shipped) all over the world, so we had expected to incur some extra costs. To solve this, we used Splitwise to log our expenses and ensure it was fair. We allowed just over six weeks for the entire process; around two weeks to discuss and locate the right gift, two for purchasing and shipping, one for wrapping and finally, one for mailing. 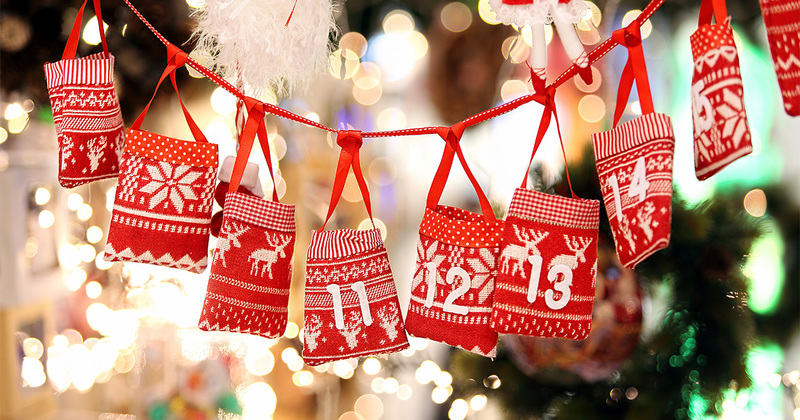 Depending on the budget you set per person, you may wish to add more time to deciding stage, as finding the right gift at the right price can be challenging. Next Christmas, we’ll start the process in early November to allow plenty of time. Throughout December presents started to gather around our tree in the office. 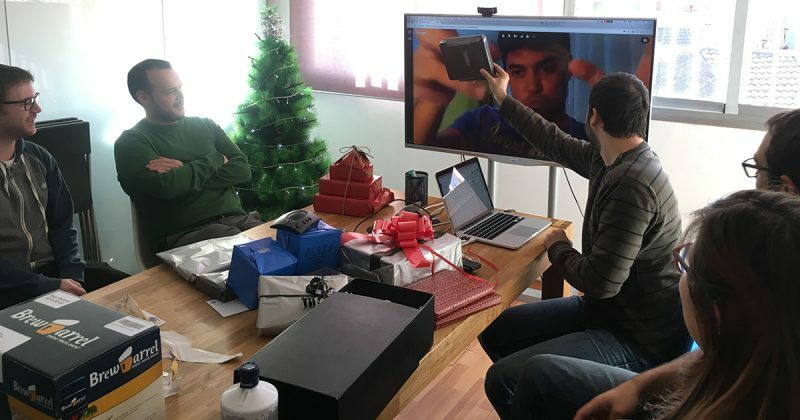 We were all getting a little eager to rip them open, but decided to wait until everyone was back from holiday and group together in a call with the remote workers for the grand opening! By Wednesday the 11th, everyone was back in full swing and in need of a little excitement to cure the January blues, so we opened our gifts together. We had a weird and wonderful mix including everything from home-brew gin kits, Tibetan instruments and ski beards. We had a great haul of gifts and everyone truly enjoyed both their own presents, and watching others opening the gifts we had all spent time great time debating! Initially, it was tough to manage the Asana notifications, but it became easier as gifts were decided and the task was set to a single person. We definitely all enjoyed the process of chipping in and helping to find the perfect gift, and we’d do it again next year. Next time, we’d look at trying Slack channels for gift discussion but we’d stick with Asana for setting the sub tasks. Thanks for the idea Zapier, it was a blast! Where Will 2017 Take Us? Here’s Where We Visited and Worked Remotely Last Year.